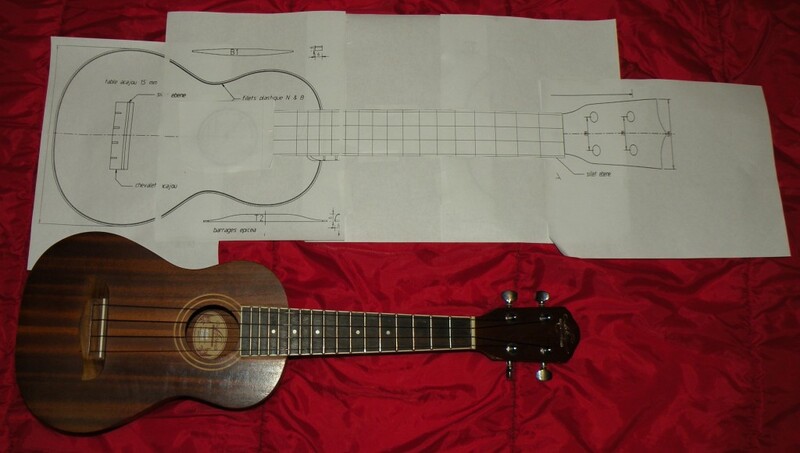 This entry was posted in Daniel Hulbert's posts, General News, Project Bass Ukulele (Daniel Hulbert) by CircuitsAndStrings. Bookmark the permalink. Hi Daniel… this looks like a really exciting build to me. I have been thinking of a u-bass build myself, but the one thing holding me back is the pickup/bridge combo… Can you shed any light on what you are doing for this? I figure a bass bridge is different than Uke and I have no idea how to fit a piezo under a metal saddle! I’m planning on using an “A style hipshot type” bass bridge. I’ll have to experiment with placement, but I might attach the rod piezo under the strings in that little pocket at the back of the bridge. but unfortunately they are too wide (string spacing) for my needs. If you are building a custom neck they would work though. They already have a pickup built in. Hiya, I can see that the bridge you DID use [photograph of hipshot style bridge] is too wide [string spacing] for the neck; when played higher up the neck, I would guarantee that when you finger the G or A string [1st or 4th], the string will want to slide sideways off the neck ??? It would have been interesting to see you play further up the frets, but you didn’t !!! Daniel : Do you know where I can get dimensions for fret board length fret distance and details on building a UBass? I want to build a cigar box ubass but do not know where to find measurements to use.